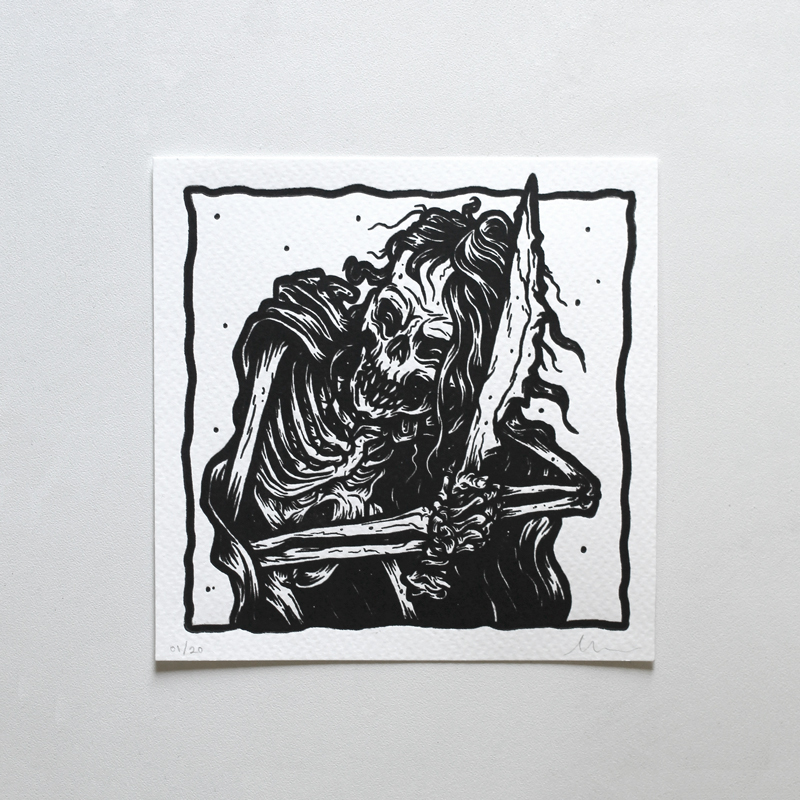 Vanquished Foes Return – 1 colour letterpress print. 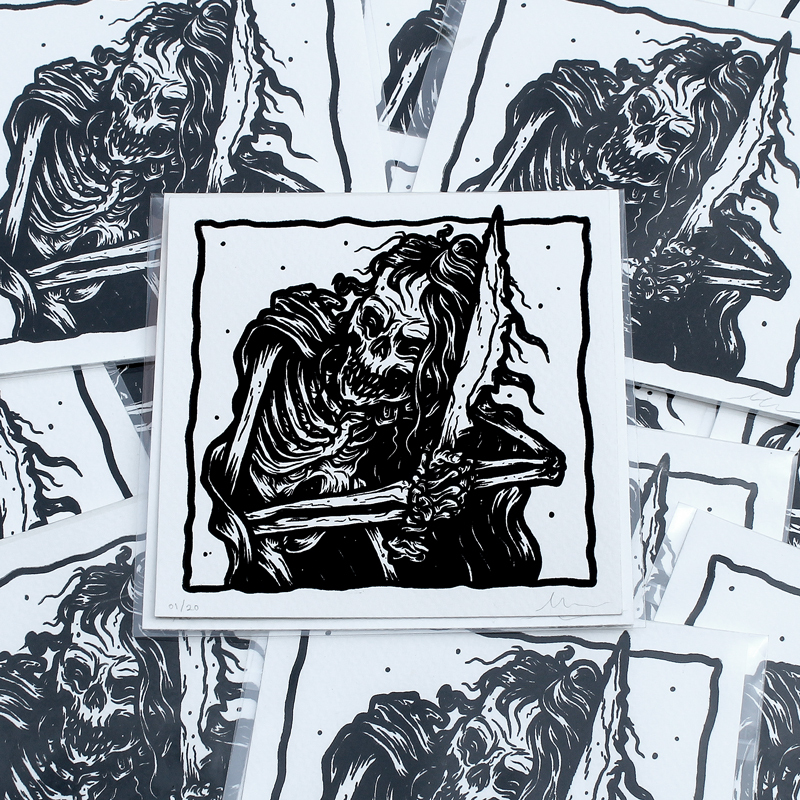 Limited Edition of 20 (Signed & Numbered). 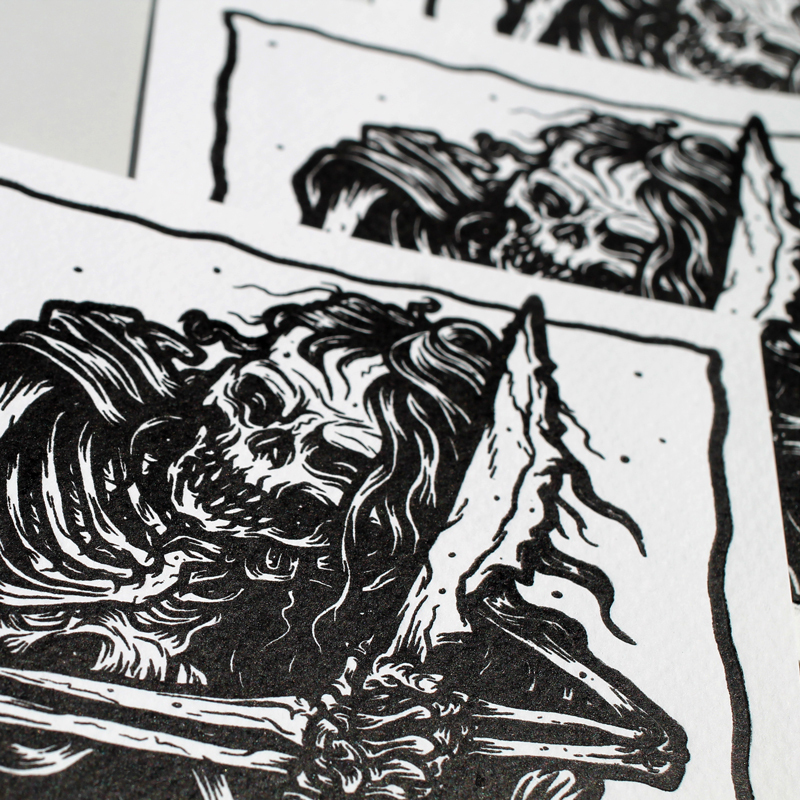 Each print is individually printed by hand on a printing press. The finished result is a one of a kind image and debossed print – Each print may vary very slightly due to difference in ink pressure. These are hand finished and protected by an archival UV spray.